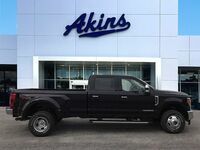 There are some jobs out there that call for more than what a “normal” pickup truck can offer. Whether you need more power, more towing capability, or more hauling capability – or whatever the circumstances may be – those are the times when you need to upgrade to a heavy-duty pickup truck. 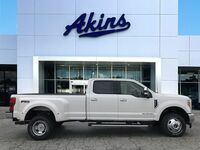 Luckily for those in need of heavy-duty features and capabilities, the 2019 Ford F-350 Super Duty lineup is available now right here at Akins Ford near Atlanta, GA. Now, those in need of a new heavy-duty pickup truck are going to want to research their options and see how each heavy-duty truck stacks up against the other. With that in mind, we put together this 2019 Ford F-350 Super Duty versus 2019 Chevrolet Silverado 3500 heavy-duty truck comparison. 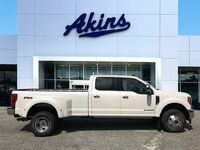 What are the Advantages of the 2019 Ford F-350 Super Duty Lineup at Akins Ford near Atlanta GA? 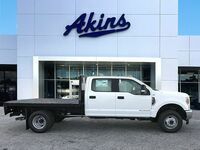 As outlined in our heavy-duty pickup truck comparison table above, the 2019 Ford F-350 Super Duty lineup holds numerous advantages over the 2019 Chevy Silverado 3500 lineup. Since that’s the case, let’s get right down to it – and let’s start things off by checking out what’s under the hood of each lineup. Thanks to its best-in-class horsepower and torque ratings, you’ll get more power from the 2019 F-350 Super Duty lineup than you’ll get from the 2019 Silverado 3500 lineup whether you choose the gas engine option or the diesel engine option. 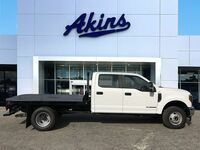 You’ll also get higher capability ratings with the 2019 Ford F-350 Super Duty lineup thanks to it being able to tow up to 32,000 pounds and haul up to 7,630 pounds. Conversely, the 2019 Chevrolet Silverado 3500 lineup can only tow up to 20,000 pounds and haul up to only 6,112 pounds.